There is constant buzz about the increasingly important role video is playing in student learning. Universities of all shapes and sizes are providing opportunities for students to watch lectures outside of class and learn at their own pace. 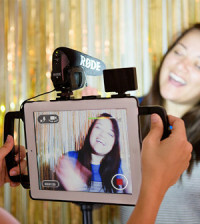 But students aren’t the only ones who benefit from an increased emphasis on video. Many professors and instructors report that they’re more effective when they use video to supplement lectures and classroom instruction. In order to truly realize the benefits of video, however, instructors need access to a university video platform that streamlines video capture, publishing, management and engagement. 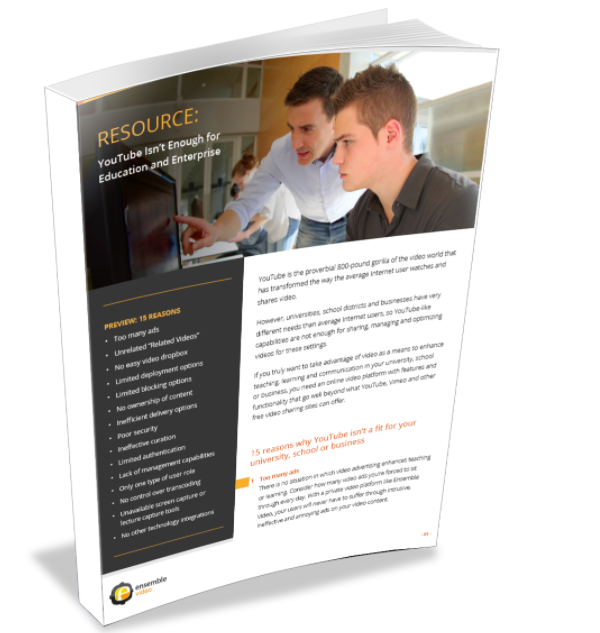 Here are five ways a university video platform will make your instructors’ jobs easier. 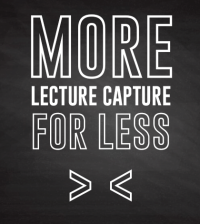 With a platform like Ensemble Video, universities can use scheduled lecture capture to ensure every lecture is recorded and published automatically. Instructors don’t have to worry about making sure their technology is functioning correctly or remembering to press “record” before they begin a lecture. They can simply focus on teaching, and the video platform will handle the rest. With Ensemble Video, video files are also automatically encoded to a standardized output for multi-device viewing. If your institution uses a learning management system (LMS) to manage coursework, your university video platform should be able to integrate with it seamlessly and publish content directly to each course’s LMS page. If you’re not using a LMS, automatic web publishing tools make it easy for instructors to publish videos or video playlists on virtually any website. 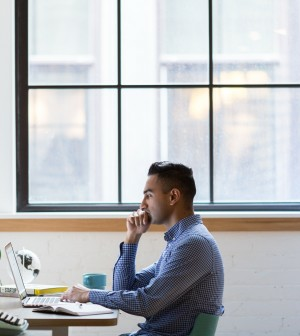 Taking advantage of automation means instructors can spend more time teaching and engaging with students, and less time managing video content. Students at universities that use a video platform can re-watch lectures and class videos whenever they want, on any device. 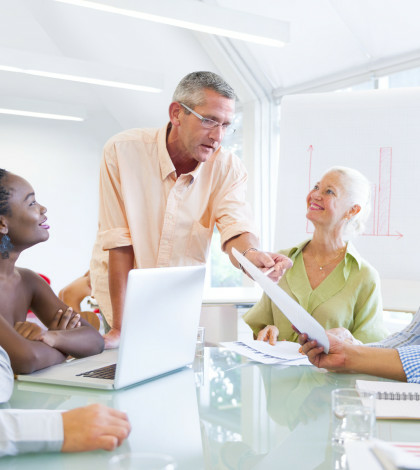 As they do, instructors get access to valuable viewer analytics. Instructors can track content popularity, see how students interact with media, learn which sections of their videos are most popular and more. To further enhance student engagement, instructors can create video annotations that direct students to more information on core topics covered in class lectures or to supplement materials on frequently re-watched video segments. If students want to revisit a more granular topic, they can also “search inside” the video for any word or phrase used by the instructor and jump to that moment in a single click. Access to viewer analytics allows instructors to see what topics students are struggling with and what course material is the most popular. With this information, instructors can design lesson plans that effectively cater to student needs. Video has a wide range of educational applications that go beyond lecture recordings. Many instructors are finding that integrating video into their class curriculum makes lectures more dynamic and keeps students more engaged. 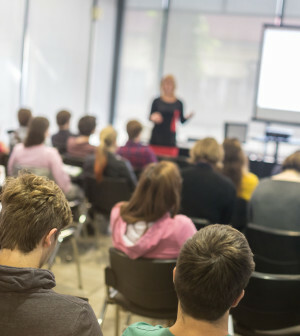 Some instructors are creating blended learning environments where traditional lectures are supplemented with digital media and computer-mediated activities. Others are experimenting with the flipped-classroom approach, through which students learn new material by watching lectures outside of class and then reviewing material in the classroom through instructor-led discussion, problem-solving activities and more. The creative possibilities are endless, but no matter which route they choose to take, a university video platform gives instructors the tools they need to use video to foster better student outcomes. The most robust university video platforms are equipped with a video and audio dropbox feature. Through this feature, students can easily submit video and other media content for grading. Upon submission, their media assignments are automatically placed into a private media library for instructors to view, edit and then publish for public viewing if they wish. This easy process gives instructors the freedom to assign creative projects without worrying about the technical side of managing student submissions. In return, students can creatively showcase what they’ve learned, and instructors can even publish the best student projects for class-wide viewing using their university’s video platform. 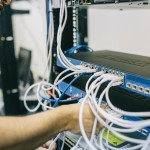 With a university video platform, teachers can add value to their lessons by showing students how course topics connect to the real world and testing their aptitude with different skills. If, for example, your university has a job training program that tests students in realistic simulations or scenarios, features like automatic lecture capture make it easy for instructors to record students in action, watch their performance afterward and provide meaningful feedback. This approach is used commonly in sales training, medical school OSCEs (objective structured clinical examinations) and more. No matter the field ––business, science, medicine or the arts––a university video platform helps instructors train students to excel post-graduation. 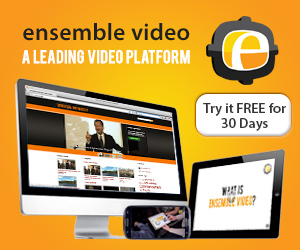 Is your university ready to take advantage of a video platform like Ensemble Video? A university video platform makes it easy for instructors to manage media, create an engaging learning experience and improve student outcomes. Ready to learn more? Take a look at our higher education case studies or set up a demo to see the power of Ensemble Video for yourself. From classroom lectures to special events like graduation, your university needs customization options to meet your wide range of video needs. And YouTube just isn’t enough. Read Ensemble Video’s resource to learn about the 15 limitations you’ll get stuck with when you rely on YouTube.